Bungie has outlined changes coming to some of Destiny 2's Exotic armors. Nine Exotics, three for each class, will be getting some substantial buffs in an upcoming update. The developer has spent the better part of this year buffing Exotics, both weapons and armors, to make them feel like the rarity that they are. Previous updates have helped change the game, such as buffs to the Graviton Lance pulse rifle or Lunafaction Boots for Warlocks. Now, a whole new set of gear will be getting some love in July's update. For Hunters, Lucky Raspberry will be buffed by increasing the chance to fully recharge Arcbolt Grenades on hits, as well as guaranteeing a recharge on getting a full chain that hits four targets. 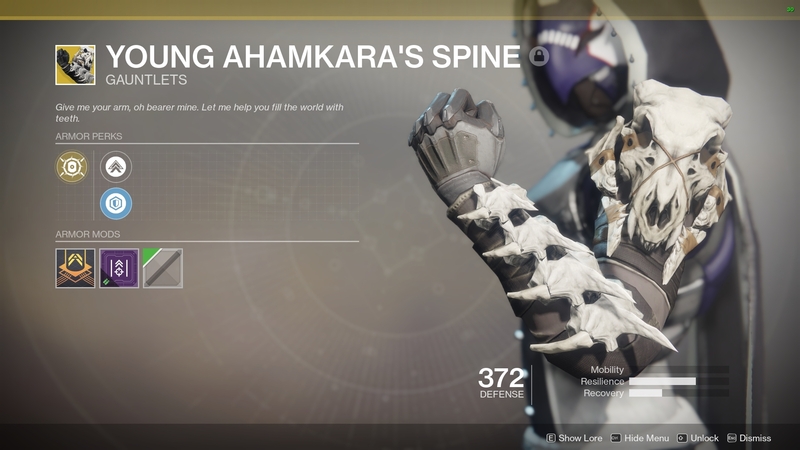 The St0mp-EE5 boots will gain increased benefits when using Strafe Jump and Triple Jump, and Young Ahamkara's Spine will lose its marking functionality, but get improved Tripmine grenade blast radius and throw speed. Titans are getting some love for a pair of gauntlets and one set of boots. ACD/O Feedback Fence gauntlets will now grant Fury Conductor stacks on melee hits instead of kills, and Fury Conductor will now grant stacking melee damage resistance. The Doomfang Pauldrons gauntlets will give more Super energy on Void melee kills, and Shield Throw hits will extend the duration of the Sentinel super. The Titan Dunemarchers boots will now have reduced time to activate the Linear Actuators perk, and a huge increase to the damage from its Chain Lightning effect (+70 percent in PvP, and +440 percent in PvE). Warlocks round out the three classes with changes to a helmet, gauntlets, and a chest piece. The Crown of Tempests helmet has had its total number of stacks of the Conduction Tines perk dropped to three, with each stack lowering the upkeep cost of the Stormtrance Super. 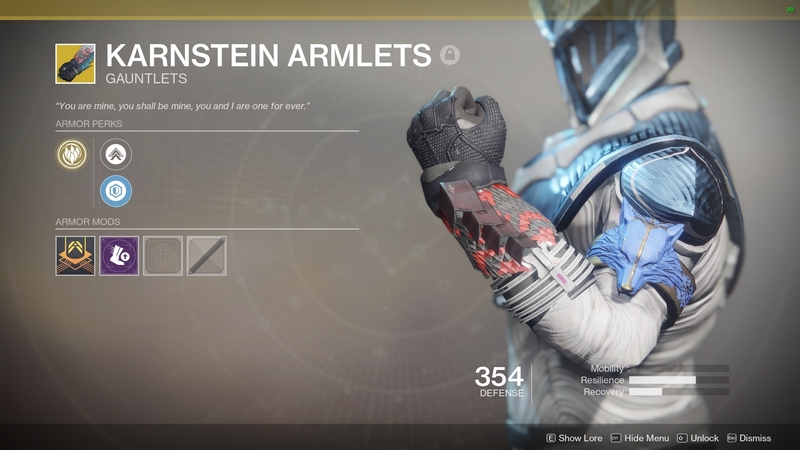 Karnstein Armlets get a huge buff since melee kills will now instantly heal you and then grant continuous healing for an insane eight seconds. Last but not least, the Starfire Protocol chest piece will now grant 20 percent Fusion grenade energy with Empowering Rift weapon damage hits. All of these changes and more, including six-vs-six Quickplay, Bounties, and Year 1 Triumphs, will be coming with Destiny 2's 1.2.3 update on July 17. It'll be the game's final update before the 2.0 update on Sept. 4 alongside the release of the Forsaken expansion.